katdupasht: Cheese weasels and nug nuggets. 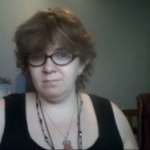 Fan-Gal, 38, Concord, North Carolina, United States. I'm short, curvy, poly, and majickally inclined. I have fun social challenges. I love helping people feel better, especially about themselves. I'm often silly to make people smile. I quote songs and movies as part of "normal" convo. I want to learn a lot of different languages, and eventually move to Tahiti and travel around Europe. <3 When I play multiplayer games, I'm nearly always the healer/support caster when it's an option. I prefer to sort proper listings as best I can, so I wrote blog posts on here for detail. Hmm. The Breeds series by Lora Leigh should count as Sci-Fi, as it's based on the results of genetic experimentation. I like several Whovian characters, but had a lot of trouble getting into the show. I love the Harry Potter series, and Fantastic Beasts is the best! <3 For a while I watched Grimm, and Once Upon a Time...but it's difficult for me to keep up with series. I'm open to *some* horror but I'm not really into the genre. The Pagemaster was good, and The Princess and the Frog was fun. Ferngully is a classic. I would like to read more of Tigra's series. I think I've read one, many years ago, and I really liked it. On PC I really like the Dragon Age series, but am also into civ builders like the Civilization series and Zeus: Master of Olympus, and Poseidon: Master of Atlantas. On my cell I'm into The Arcana, though I play more Merge Dragons. I have played D & D 3, 3.5, 4 and 5. I've also played Pathfinder and Marvel. I'm open to board and card games. I would love to collect fandom ink, or ink honoring concepts or people in my life who are particularly important or dear to me. I love looking at all the art and costumes. I want to cosplay an original character...but I enjoy well done cosplays in general, especially of my favourite characters. I'm in several fan groups on fb for The Arcana and Dragon Age.